Can I reset my view of my submissions? We clicked on some of the settings in the submissions to show/hide fields and now our form looks really weird. We deleted and created a new autoresponder thinking that would help, but it did nothing. Help! 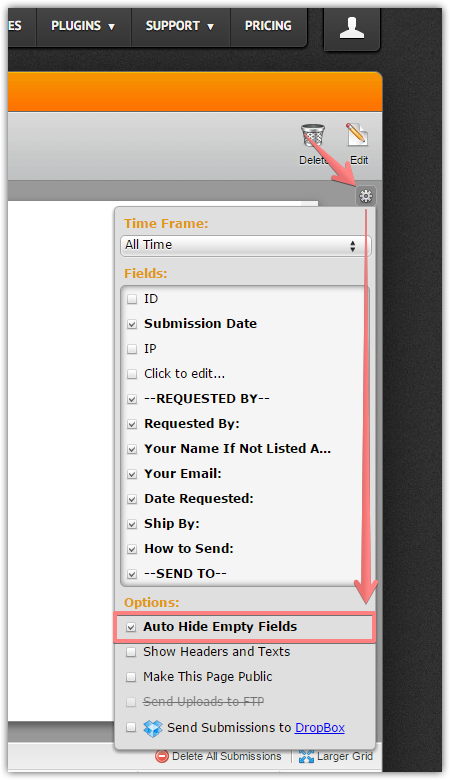 This is how you can change the view settings of the form Submissions page. If you are referring to the form email alerts, please kindly provide us with a bit more information about the issue you are currently facing. I would like to know if there is a way to reset it to the default view. We are having trouble making ours look just like it did before. To restore the submission view to default format, enable an 'Auto Hide Empty Fields' option and disable a 'Show Headers and Texts' option.